Denim is is just one of those materials you can reach for season after season. It’s doesn’t matter if it’s freezing cold or sweltering hot, it always works. But we’re not talking about jeans alone here. This spring, every woman should own a denim vest. Now yes, they’ve been around for quite some time, but that shouldn’t stop you from investing in one. There are so many cool ways to wear it. Don’t believe me? 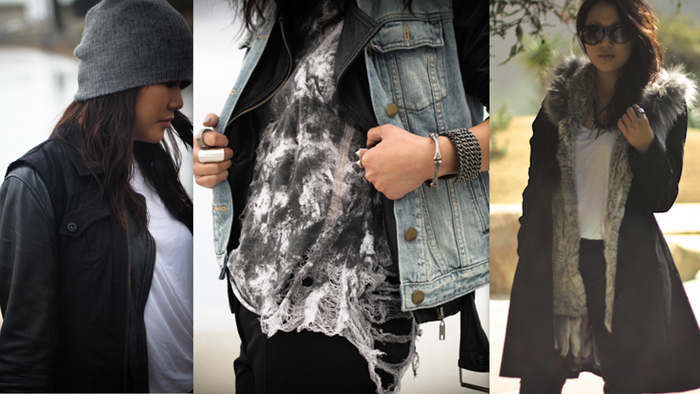 Here are 5 looks we love featuring a denim vest. Check them out then click through the slideshow to shop this season’s best denim vests. 1. Wear it over a mint green tee with skinny jeans. Yes, Canadian Tuxedo style, but as we’ve already discussed this week denim and denim can work. 2. Wear it over an all white ensemble. Whether a white top and a white skirt or a white lace dress, the white – denim contrast usually looks killer. 3. Wear it over a graphic sweatshirt. Sweatshirts are huge this season and an easy way to dress up a plain one is to throw a denim vest on top. 4. Wear it over a leather jacket. For the ultimate lesson in layering, start with a cool tee, add a black leather jacket, and finish off with your denim vest. 5. Wear it over a simple black dress. The color and texture difference makes an otherwise boring dress suddenly more interesting. Check out other trends we’re loving lately: mirrored shades, baseball hats, and Doc Martens.